Allow me to introduce this article with a disclaimer. I do not claim to be a crop farmer nor pesticide expert. But over the past decade, I’ve spent a lot of time listening to those with various points of view — from beekeepers who run their operations on ag lands, conventional growers, and fervent organic farmers, to the ecotoxicologists of the chemical companies, as well as activists and alarmists from all sides of the spectrum. From this overload of information, I’m trying to sort out in my mind how we can aim for win-win solutions. I welcome comments on this continuing deep dive into The Pesticide Situation. Thomas Malthus long ago pointed out that the human population grows geometrically, whereas our food production tends to increase linearly. But during the last century, three main factors have allowed agricultural production to grow faster than the human population: (1) the invention of the diesel tractor, (2) a declining birth rate, and (3) the “Green Revolution.” During that revolution in the 1950s and ‘60s, new technologies — such as high-yielding crop cultivars, irrigation, and notably, the use of chemical fertilizers and new classes of pesticides ― were brought to agriculture, resulting in marked increases in agricultural productivity. Unfortunately, farmers with large-scale plantings have now embraced those pesticides to the point of dependence, or perhaps even less justified, as a means of risk management. But the Green Revolution appears to be losing steam, and the specter of mass starvation is looming closer, especially with our warming climate taken into account. Unlike Moore’s Law, in which computers just keep getting faster and faster, advances in agriculture are constrained by both the environment and biology. Somewhat alarmingly, a recent analysis [] detected “sizable and significant slowdowns in the rate of [agricultural] productivity growth in recent decades.” The researchers suggest that the rapid rates of productivity growth enjoyed during the period from 1960 through 1980 were an aberration. This is not good news. The question then is, will the needs of the human population (as well as its environmental impact) exceed the carrying capacity of the biosphere of our planet within the lifetimes of our grandchildren? Practical application: We beekeepers, who are already witnessing a shift in some agricultural lands becoming less bee friendly, will be caught in the middle of the struggle for farmers to meet the human demand for their harvests (Fig. 1). Figure 1. 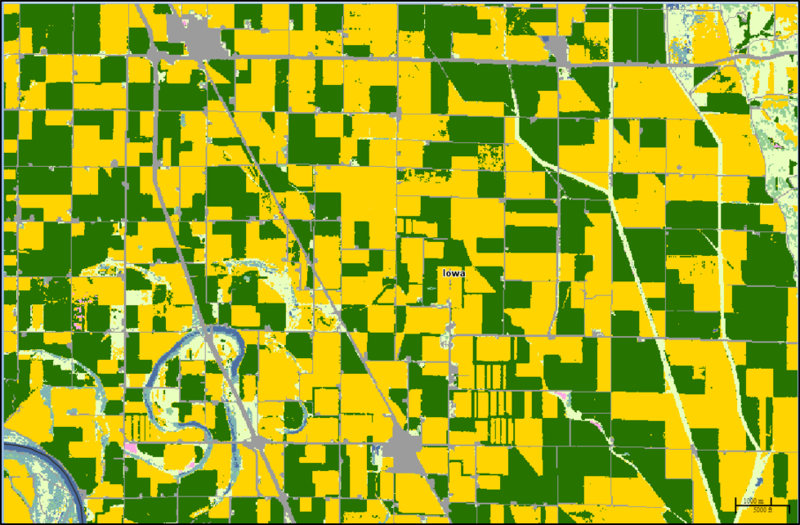 One result of the Green Revolution can be vast landscapes dominated by monocultures — such as by the corn (yellow) and soybeans (green) grown in Iowa farmland above (both being grown mainly as feedstocks, rather than directly for human food). Such monocultures are conducive to the evolution of pest species adapted to utilizing these food sources, as well as surviving any pesticide repeatedly applied to control them. The map for your area can be downloaded at []. These trends suggest the US beekeeping industry is increasingly reliant on the NGP in providing refuge for honey bee colonies at a time when the carrying capacity of this landscape for supporting colonies is decreasing. Practical application: Beekeepers in the Northern Great Plains are watching the forage for their bees disappear year by year. Thanks to the US Geological Survey for supporting Clint Otto and his collaborators for documenting this, and bringing it to the attention of our legislators. The corn/soy monoculture is a perfect example of how we can create an artificial vegetative landscape that can be maintained only by the intense suppression of competing species. Although we speak of “the balance of nature,” in reality many ecosystems display dynamic swings in populations between the dominant plant species, and the herbivores and parasites that feed upon them. When there’s lots of a specific food plant available, the populations of things that eat that plant may increase until they consume every last one (I’ve witnessed this happen spectacularly). So when farmers plant vast fields of a single plant species, they’re just putting out a huge plate of food for what they term as “pest” insects. In order to maintain that unnatural imbalance, the farmers are then forced to suppress those pests when their populations inevitably respond to that food availability (Fig. 2). Figure 2. Although expansive plantings of single crops are conducive to high-efficiency farming, such monocultures of a single type of plant create an unlimited supply of food for those species that we then consider as “pests.” The “simple” solution of blasting them with pesticides needs to take into account the unintended consequences upon the rest of us inhabitants of the ecosystem. USDA Photo by: Charles O’Rear. Conversely, in natural and more diverse ecosystems, it is less likely for any herbivorous insect species to reach huge populations, since that species will tend to be kept in check by its own predators and parasites []. In a monoculture, that critical diversity of competing insects may be greatly reduced — Schmid [] found only a quarter as many insect species in corn fields as in adjacent prairie land. By providing buffer strips and the rotation of a diversity of crops in an area, “beneficials” may keep pest populations below the economic threshold for damage without the need for pesticides (read a fascinating article on this subject by Jon Lundgren at []). Practical application: The removal of livestock and pasture from agricultural ecosystems also eliminates the need for fences. Couple this with larger tractors and Roundup-Ready® plant cultivars, and the landscape loses plant species diversity — thus greatly impacting many other species, including pollinators. From a biological standpoint, diversity in farmland would be strived for, rather than being eliminated. Below is a different agricultural scenario than the example of Iowa above. Although not yet ideal for Integrated Pest Management, the California farmland illustrated below wouldn’t be as favorable to any single pest (Fig. 3). Figure 3. 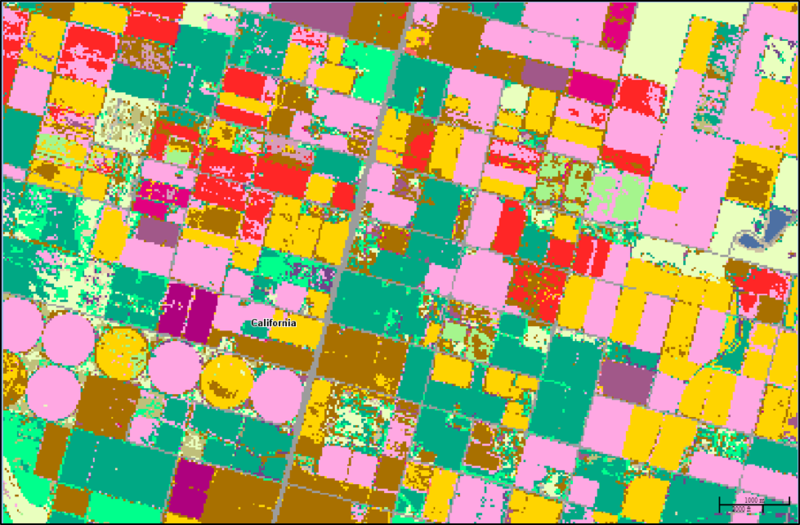 Compare this mixed-agriculture setting from California to the previous map — each color represents a different type of crop. There is still pest pressure, but by interspersing and rotating crops, growers can better decrease the rate of pest buildup. On the flip side, such crop diversity may expose bees to a greater array of pesticides as they shift their foraging from one blooming crop to another — this map is less than 7 miles across, so an apiary set in the middle could easily hit every field. Although it is clear that there are practices that could be adopted by farmers to decrease pest pressure and to ensure the sustainability of production through innovation, the system may be rigged against change due to our current taxpayer-funded Federal Crop Insurance Program []. The combination of the ethanol mandate coupled with crop insurance, and inadequate returns for land set aside in the Conservation Reserve Program, has in recent years led to the plowing under of millions of acres of land, some of which had formerly been considered as unsuitable for row cropping. On the other hand, should our ag policies switch from favoring corn for ethanol, to promoting oilseed crops for biofuels (such as canola, sunflower, and soybean), we could perhaps see increased short-term forage opportunities for bees in ag lands, as is occurring in Europe []. It’ll also be of interest to see whether hemp becomes an important late-season pollen source for bees []. I’ve checked the amino acid and lipid content of hemp pollen -― it looks pretty good for bees. Practical application: We can expect agricultural landscapes to continue to change. We beekeepers are now in the position to provide a voice for all pollinators and wildlife in the ag landscape. Although honey bees are adaptable to a wide range of landscapes — from desert to meadow to deep forest ― the best forage opportunities are typically in “biologically productive” lands, especially at the meadow-forest interface. Due to the fertility of such lands, that’s where much farming takes place. In conclusion, honey bee colonies foraging in moderate and high AG areas were clearly able to grow faster and to a larger size as a result of better access to sustainable nutrition sources than bees foraging in NAG area and a low AG area with urban activity. … Although negative effects of pesticide on colony health were not detected, sublethal doses of insecticides and fungicides were identified in trapped pollen. Better nutrition sources and nectar yields in AG areas helped to develop greater population size, which in turn enabled better colony thermoregulation. [Non-ag] areas may provide a less-toxic environment for honey bees but might not provide sustainable foraging resources, leading to colony starvation. Thus, there appears to be a trade-off between increased food resources and the potential for exposure to pesticides in agricultural systems. Practical application: The last sentence above says it all — we beekeepers must weigh the tradeoffs. Of course not all agricultural areas are the same — some offer far less “sustainable nutrition.” And in others there are clear impacts from pesticide exposure — I’ve seen heart-wrenching photos of apiaries wiped out by sprays or planting dust, and personally inspected colonies in which the brood was destroyed by a tank mix applied in almonds. Luckily, it’s now hard to imagine that there is any farmer who hasn’t gotten the memo that the public cares about bees. Figure 4. 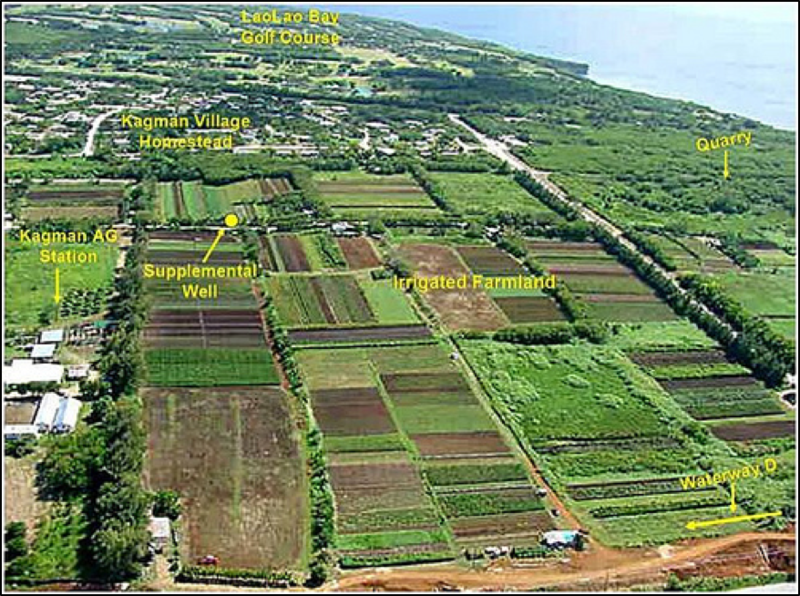 One way to slow the evolution of resistant pests is to intersperse various crops and native vegetation, as in this USDA-funded farm on Saipan []. Each different plant species will harbor different pests and beneficials, which will not only help to prevent the buildup of any one pest, but will create reservoirs of nonresistant individuals of that species — which will then work against the establishment of resistant strains. Our agricultural practices are continually evolving toward better efficiency and profitability — if a farmer cannot make a profit, he’s unlikely to continue farming (similarly, commercial beekeepers who didn’t adapt to dealing with varroa soon went out of business). But there are also often arbitrary rules to follow — some created by legislators, some self imposed, and some dictated by the market. For example, a farmer can jump through hoops to become “certified organic,” which prohibits most manmade pesticides or genetically-engineered crops, but allows full mechanization and confers a greater market price for the harvest. On the other hand, Amish farmers (Fig. 5) eschew tractors for cultivation, but may happily use cutting-edge pesticides and genetically-engineered crops. They may not receive more for their harvest, but their costs per acre are so greatly reduced, that they can make a higher net return per acre than with “conventional” farming []. Figure 5. 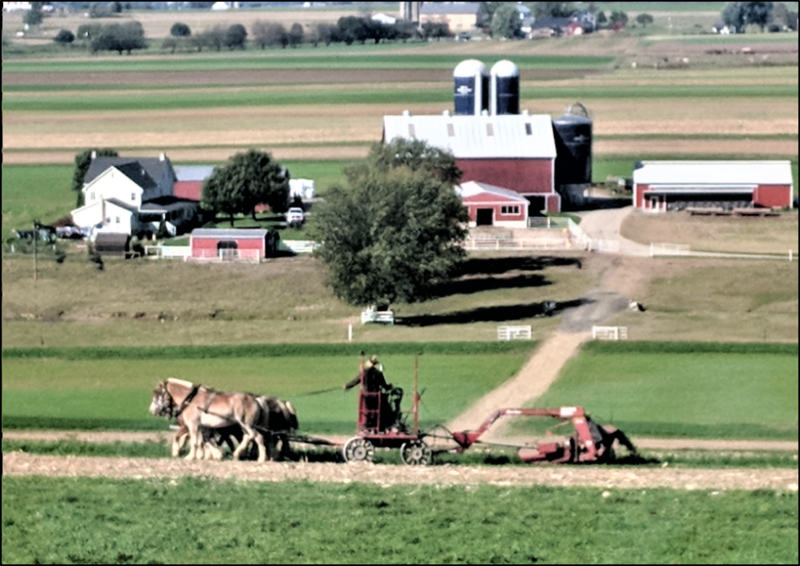 I took this photo of an Amish farmer working a field as I drove through Pennsylvania. The Amish typically have small farms incorporating a rotation of various crops, livestock, and pasture. This mixed agricultural landscape, although pesticides might be applied, may be more pollinator-friendly than larger monocultures. What’s becoming clear is that the agricultural community needs to keep its eye on the future. No one wants to cause the extinction of native pollinators, and the ag community needs to maintain a space for beekeepers to fit in. Farmers will adopt some of the latest technology, yet should keep in mind how their forebears farmed before the Green Revolution. Personal opinion: No one expects U.S. agriculture to go back to the horse and plow, and I fully support “organic” farming [], but as a biologist and beekeeper, I find some of the certification standards for “organic” to be arbitrary, excessive, scientifically unsupported, or even environmentally counterproductive. I suggest that we reward farmers for taking any steps toward improving their practices from an agro-ecological perspective. The key thing is that farmers should be financially rewarded for making even moderate steps towards ecological sustainability. This can be top down via the Farm Bill, or bottom up from the consumer. Practical application and action item: The purchasers of all agricultural products respond to consumer demand (hence the rapidly-growing market for “organic”). The average household in the U.S. spends a smaller proportion of its income on food than in any other country in the world []. Since the payment to the grower is only a fraction of what we pay at the grocery, that means that shifting agricultural practices to be more pollinator-friendly would hardly be noticeable to us at the cash register. Right now is the honey bee’s moment in the sun — the more that we can encourage the consumer to put pressure on the middlemen to reward growers for practicing pollinator-friendly farming, the more quickly things will change. 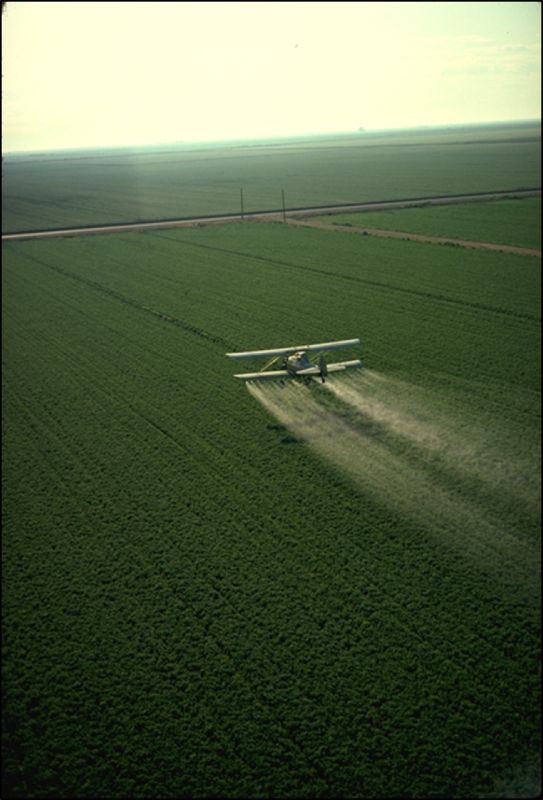 Next, the problem of pesticide resistance, and some of the coming changes in agriculture that can benefit bees. Anderson, M, et al (2018) A century of U.S. farm productivity growth: A surge then a slowdown. American Journal of Agricultural Economics 100(4): 1072–1090. The USDA Cropland Data Layer interactive map at https://nassgeodata.gmu.edu/CropScape/ This informative interactive map shows what’s growing on every acre of the U.S.
 Otto, C, et al (2018) Past role and future outlook of the Conservation Reserve Program for supporting honey bees in the Great Plains. PNAS 115(29): 7629-7634. There are also some cyclical systems, such as those in which “plagues” of locusts periodically graze everything to the ground. Schmid, RB, et al (2015) Gut bacterial symbiont diversity within beneficial insects linked to reductions in local biodiversity. Annals of the Entomological Society of America 108(6): 993–999. Breeze, TD, et al (2014) Agricultural policies exacerbate honeybee pollination service supply-demand mismatches across Europe. PLoS One 9(1): e82996. By the time you read this, I will have twice been an invited speaker at the California EcoFarm Conference.